There have been a number of class action lawsuits in Federal Courts which allege Transmission Defects in certain Nissan vehicles equipped with Continuously Variable Transmissions (CVT). 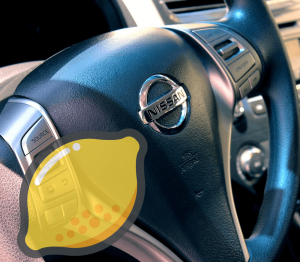 Affected models include certain recent model years of Nissan Sentra, Nissan Altima, Nissan Rogue, Nissan Versa, Nissan Pathfinder, Nissan Juke, Nissan Note, Infiniti JX35, Infiniti QX60, Our law firm has also seen this trend emerge in clients’ individual lemon law claims. A CVT has a continuous range of gear ratios and is designed to allow the vehicle to shift gears while driving in a smooth way. Theoretically, this design should reduce or eliminate the “shift shock” felt when a transmission shifts gears. However, it has been alleged that Nissan’s CVTs experience sudden, unexpected shaking and violent jerking (commonly referred to as ‘juddering’ or ‘shuddering’) and that the vehicles hesitate when trying to accelerate, increasing the risk of injury or death. Other related concerns include stalling or loss of power, illumination of the check engine light, also known as the Malfunction Indicator Lamp or MIL (association with Diagnostic Trouble Code or DTC P0776), reduced performance due to CVT fluid temperature, and need for Transmission Control Module or TCM reprogramming. It is further alleged that the Nissan CVT transmission may also wear down or fail prematurely, often just after expiration of the warranty. If any of the class actions proceed to judgement or settlement, history has shown that class members may might receive compensation such as reimbursed costs, a warranty extension, or a simple cash payment or coupons based on the number of transmission complaints experienced.